Fancy an alternative to chicken? Why not try some duck. 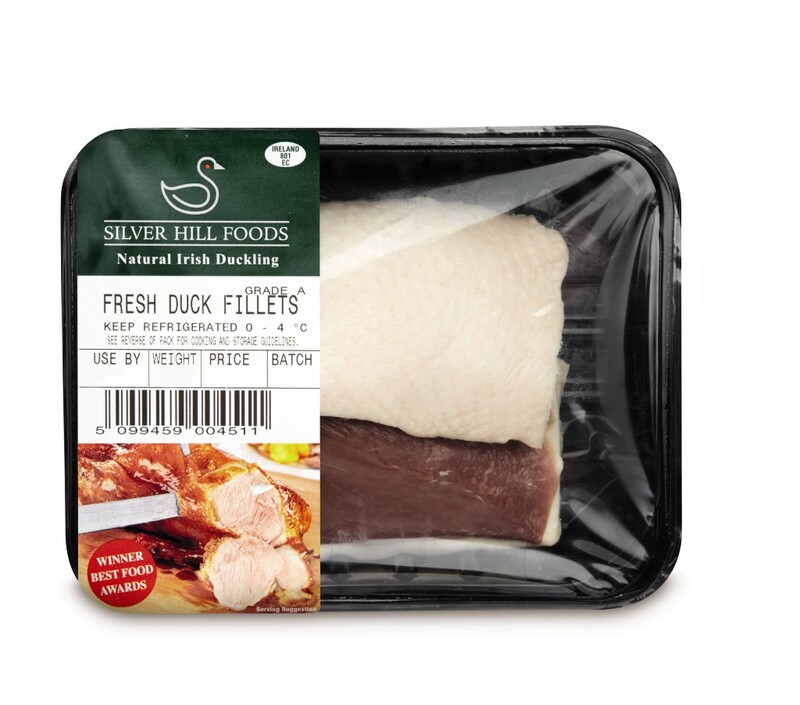 Aldi have Silver Hill Aromatic Duck Breast Fillets (€5.00 / 350g), now available across their 108 stores nationwide. Fresh from the Steele family farm in Emyvale, Co. Monaghan, these award-winning duck breast fillets are 100% Irish and fully traceable from farm to fork. The ducks at Silver Hill are hand-reared and fed on a natural diet, without any additives, resulting in meat that is succulent, tender and full of flavour. The boneless fillets are also quick to cook and particularly suited to fruit or piquant glazes, so you can cook up a simple duck dish in minutes – roasted, sautéed, braised or barbecued, the choice is yours. New and innovative food and drink products are soon to be launched by some of Ireland’s most creative entrepreneurs. Participating in Food Works, a training and development programme run by Bord Bia, Enterprise Ireland and Teagasc, the new products include dairy-free ice-cream, biodegradable gum, sustainable seafood butter and premium Irish vodka. Food Works was established in 2012 and was set up to identify a export-orientated entrepreneurs who want to be part of Ireland’s growing food and drink industry. As part of a series of workshops and one-to-one mentoring, successful entrepreneurs were offered practical business advice that was required to develop their concert into a world-class food product with great export potential. Elivar, the world’s first range of carbohydrates, proteins, vitamins and minerals tailored specifically for athletes and active sports people over 35 years of age participated in the inaugural Food Works programme. The company, owned and managed by Donal Hanrahan and Len Dunne, has since secured investment through Enterprise Ireland and the Halo Business Angel Partnership and is currently focusing on sales in the UK market. IASC (Atlantic Seafood Company of Ireland), a Cork based company who produce a range of Irish shellfish butters using Irish mussels, brown crabmeat and wild foraged Dillisk seaweed, also participated in the programme. Branded as the world’s first Umami butter, IASC’s versatile products are used as traditional butters and / or a natural flavour-enhancer and ingredient for fish dishes, steak, risottos and chowder etc. In addition to listings with 30 Musgrave’s outlets nationwide, the products are currently used by more than 300 foodservice outlets and restaurants across the UK and Ireland. IASC also received EI HPSU investment. The award winning Orpens Cider is the brainchild of Matthew Tindall and Chris Hill, two former wine industry professionals and another Food Works success story. Orpens completed the programme in 2013 and following a successful initial trial, in February this year they secured a listing with 65 Tesco stores nationwide, growing their presence in the Irish market. They have recently secured a distributor in the UK and the export market is now the key priority for them. Included in this year’s programme are: Patrick Shelley, founder of Origin Spirits and formerly Commercial Director LVMH Moët Hennessy Russia is launching a new upper premium Irish vodka for international markets; Robert and Louise Doyle from Irepak, the company behind a new non-fat gluten free greek yogurt with high protein content aimed at active men; Simon Lynch and Quincey Fennelly, co-founders of Wicklow Wolf craft beers and Liam Ryan and Eamon Murphy from Mr. Gum Innovation who have developed a biodegradable chewing gum. While the companies and entrepreneurs are at various stages of development, each is working towards exporting their products within the next 12 months. Think you’ve got what it takes? Registration for Food Works 2015 is now open. Bord Bia, Enterprise Ireland and Teagasc will run a series of “drop in clinics” across Ireland to assist potential participants with their applications. 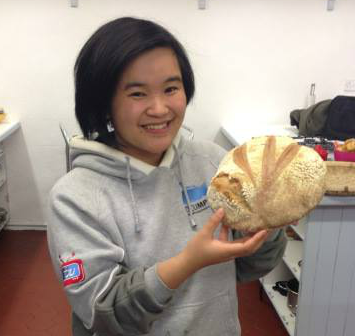 For more information on the clinics or to register, visit www.foodworksireland.ie.